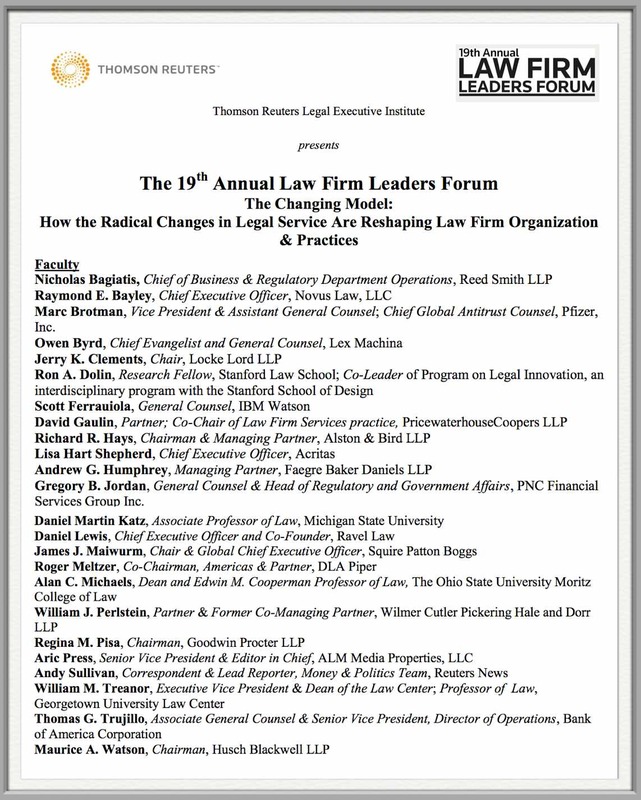 Tomorrow I will be speaking at the 19th Annual Law Firm Leaders Forum in NYC (Presented by Thomson Reuters Legal Executive Institute). This annual event draws a large number of leaders from the AMLaw 200 law firms. The focus of my panel will be the Emerging Role of Technology in the Law Firm Model. I am joined by a world class faculty which includes representatives from Law firms, In House, Legal Tech and the Legal Academy, etc.